Please note: There may be some days when the Animal Farm is shut for maintenance and upgrade works. Contact Reception on 01622 872068 before travelling. Meet our cute and cuddly animals! Learn all about them and get the chance to feed them in a 30 minute experience. 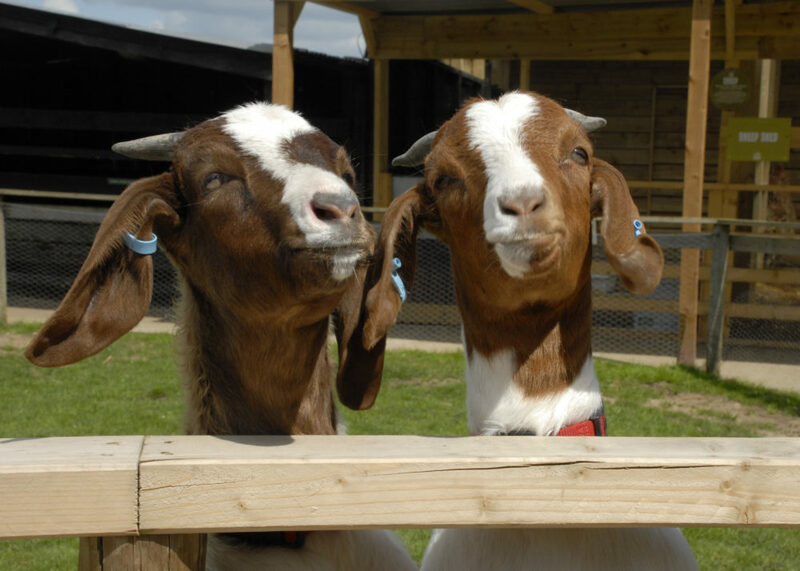 This experience also gives the participant free entry to the farmyard to ask the keepers any questions. These days run from 10am to 3pm and weekdays only. They are priced at £90 per person and we accept a maximum group size of 4. Minimum age for this experience is 10 years. Meeting the horses and learning to prepare a horse for showing including grooming and plaiting mane and tail. Harnessing demonstration - learn about the pieces of the harness, how to put in on the horse and how it works. Harness up the horse and practise long reigning to gain an understanding of commanding and controlling the horse. Have a go at hitching the horse to a vehicle and driving a single horse. Un-harness the horse and learn about his diet. The programme of activities is dependant on the capability of the participant, however, where it is possible, reasonable adjustments will be made to try and ensure that the Shire Horse Experience Day is open to all. We advise customers to wear suitable farm footwear. Experiences run from 10am to 12.30pm. They are priced at £35 per person and we accept only one person taking part in the experience that must be accompanied by a parent/ guardian. 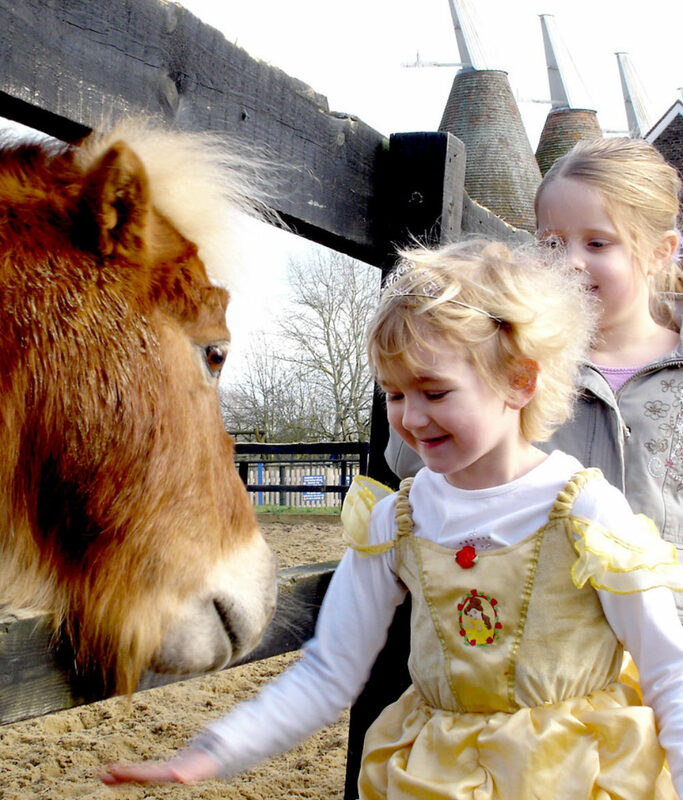 The Pony Experience is offered for those aged between 7 - 13 yrs. The experience is for young people who aspire to own their own pony and wish to gain the experience of caring for one. Meeting and feeding your pony. Learning to groom your pony from head to hoof and how to plait it's tail. Learning how to care for your pony's needs in the stable and about his diet. Learning to long rein your pony in the paddock and to teach him commands. The programme of activities is dependant on the capability of the participant, however, where it is possible, reasonable adjustments will be made to try and ensure that the Pony Experience is open to all. NB. The experience does NOT include riding - only driving the ponies. We advise that you wear suitable farm footwear. With over ten years experience, Hovercraft Adventures are the UKs leading provider of Hovercraft Experiences and track sessions, we are also the first choice of many stag and adventure companies. We use the Flying Fish Snapper hovercraft, easy to drive, difficult to master but fast enough for experienced thrill seekers! Flying a foot above the ground, over land and water, youll be part of a group of up to 12 drivers who, following a safety briefing, learn first to drive then compete - in various events. Finally, in the Top-Gun shoot out youll find the fastest driver of the day with the top ten drivers from each year invited back for a free Race of Champions event in March! Hovercraft Experiences last between two, and two-and-a-half hours, are intense and fast paced. Youll be surprised who shines as the fastest driver, and anyone can take part as long as theyre in reasonable health. You dont need a driving license and drivers can be as young as 12 years old. Our Pay & Play sessions generally last up to 90 minutes dependent on participants and amount of laps. These sessions are exactly as described "Pay & Play", again we can accommodate groups of up to 12 at a time and amounts of laps can vary from 5 onwards. There is no competitiveness to our Pay & Play system and each participant can take there time to enjoy the excitement of driving these amazing machines on land and water around our track. We can also arrange for you book our track for you to come and drive your own craft on.